Attention couples and (very good) friends: Exciting news! 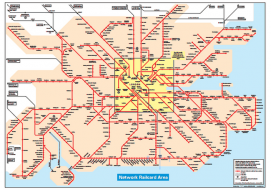 For the first time in thirty years the Association of Train Operating Companies (ATOC) is offering a new discount card, saving lucky rail travellers a whopping third off off peak travel on the Nation Rail network. And you don’t have to be under 25 or over 60 – you can be my age! Or whatever age you might be, dear reader, that is between the ages of 25 and 60. The card’s launch date is 3rd March 2014 and it’s a big hooray for those of us who might have made the switch from rail travel to National Express coach travel much of the time because train travel is just. too. expensive. 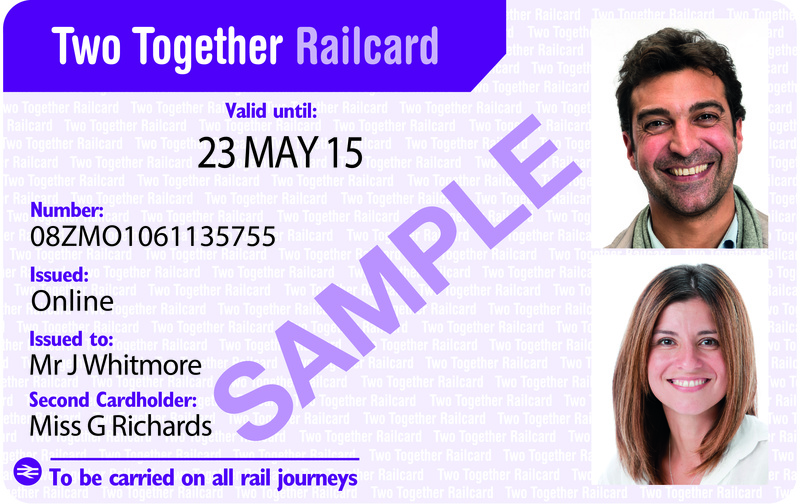 The Two Together Railcard March 3rd 2014 – courtesy of ATOC. 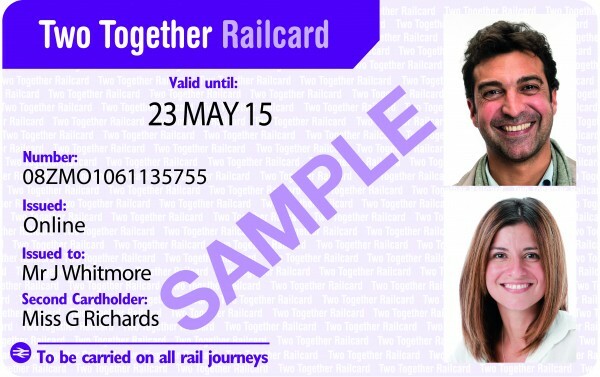 The card will cost £30 and save you 1/3 off rail travel – just as the 16-25 and senior rail cards do. The card is for couples and friends travelling together. The only catch, if you want to see it that way, is that you need two named persons on it – which means that as with EE’s ‘Magic Numbers’ you’ll want to agree to get a card with someone you know you travel by train with more than anyone else. This inevitably means the greatest beneficiaries will be happy couples – but pick a good bestie and it’s still a pretty damn good offering. I’m excited. I don’t know who I will identify as the adult between 25 and 60 I travel with on the network the most, but I am excited. Good job, ATOC – more of this please. You will be able to purchase your very own Two Together Railcard online at railcard.co.uk from 3rd March 2014 or at any train station ticket office (that’s big enough) in the UK. The Two Together Railcard March 3rd 2014 - courtesy of ATOC. 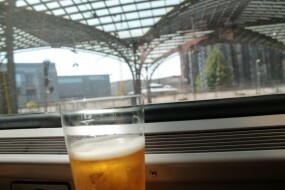 Bring on 2014 as the year of travelling more by train!